In early October 2017, a series of 250 wildfires started burning throughout Northern California, bringing terror and destruction to the region. The wildfires broke out throughout Napa, Lake, Sonoma, Mendocino, Butte, and Solano Counties. These fires included the Tubbs Fire (which grew to become the most destructive wildfire in the history of California), the Atlas Fire, Nuns Fire, and others. More than 245,000 acres were destroyed. Cal Fire reported that approximately 8,400 structures were demolished. Roughly 5,500 homes were completely destroyed, with an additional 4,000 homes partially burned. Santa Rosa alone lost 3,000 homes to the fast-spreading Tubbs fire. Those who can afford to rebuild their homes face a labor shortage, steep labor costs and resultant delays. The wildfires in Southern California followed with equally devastating results. Nationwide, almost 10 million acres burned in 2017, including wildfires in Oregon, California, Kansas, Oklahoma, Texas, and Florida. As a real estate licensee in these states (or others), you may have (1) represented a buyer who purchased a home destroyed by wildfires, (2) represented a seller in the sale of such a property, or (3) have a client in the affected area whose residence was spared and is interested in renting his or her property to those displaced. This article addresses what you need to know if you are one of the many real estate licensees in this situation. If a property listed for sale is in a designated “very high fire hazard severity zone” or in a “wildland area” (i.e., one that may contain substantial forest fire risks and hazards), this is deemed a material fact that the seller and listing agent must disclose to the buyer if: (a) the seller or listing agent has actual knowledge that the property is in a designated fire zone; or (b) the city/county where the property is located has prepared a map of properties in the fire zone, that map identifies the seller’s property and the city/county has posted a notice that identifies the location of the map at the county recorder’s office, the county assessor’s office or the county planning agency (CAL. PUB. RES. § 4136; CAL. GOV’T § 51183.5). If, when looking at the fire zone map, a reasonable person cannot tell with certainty whether the subject property is in the fire hazard zone, the seller or listing agent must mark “YES” on the disclosure form. The exception to that is if an expert’s report is attached to the disclosure indicating that the property is not located in the fire zone. In other words, if you look at the map and cannot determine whether the subject property is in the fire hazard zone, you must disclose that it IS in the fire hazard zone, unless you obtain and disclose to the buyer an expert report stating otherwise. In California, these disclosures must be made on the Natural Hazard Disclosure Statement (NHDS) or on the Local Option Real Estate Transfer Disclosure Statement (Local Option Disclosure), if your local jurisdiction has mandated use of a Local Option Disclosure. A seller or listing agent may elect to use the services of a third party consultant to complete the NHDS in lieu of completing the NHDS himself. In fact, many brokers mandate the use of a third party consultant to minimize the potential liability of the listing agent and broker in the event of inaccurate reporting. However, the use of a third party consultant does not relieve the seller or listing agent from the obligation to deliver NHDS to the buyer (CAL CIV. §§ 1103, 1103.1, 1103.2, 1103.3, 1103.4). 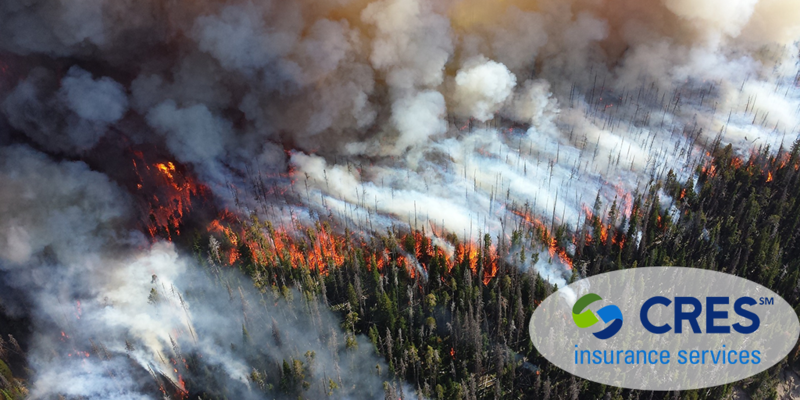 As a real estate licensee, you can expect that buyers of homes destroyed by the recent wildfires will initiate claims against the seller, the listing agent and broker, and the buyer’s own agent and broker for failing to disclose that the subject property was in a fire hazard zone. Against the seller, buyers will contend that the seller knew, or should have known, that the subject property was in a fire hazard zone and failed to disclose that material fact. Against the buyer’s own agent and broker, buyers will allege that they were relying on their fiduciary to advise them as to whether the property was in a fire hazard zone, to investigate this issue on their behalf and to counsel them of the risks of purchasing a property in a fire hazard zone. Listing agents and brokers can expect complaints from buyers alleging negligent and/or intentional misrepresentation with regard to the situation of the property in a fire hazard zone. And, there could be cross-complaints from sellers alleging their fiduciary should have advised them to investigate whether their property was in fire hazard zone, along with the need to disclose that material fact to buyers. Often times, sellers and listing agents brush over the NHDS, which addresses not only fire zones, but also earthquake-fault zones and flood zones. These natural disasters are real threats in California (and other states). Regardless of whether you find yourself named as a defendant in a lawsuit, this serves as a reminder to brush up on your disclosure obligations and spend time working through these important disclosure items with your clients. Should you receive notice of an actual or potential claim, immediately alert your broker so that your E&O carrier is timely notified. My Client Has Been Offered $20,000/Month To Lease Their Residence To Tenants Displaced By The Wildfires. Is This Too Good To Be True? There are housing shortages in many areas, including California’s San Francisco Bay Area. So it comes as no surprise that individuals displaced by the recent wildfires, and/or insurers acting on their behalf, are bidding aggressively to lease homes in adjacent areas. Many of those displaced are still trying to determine whether to rebuild, relocate or sell their now-empty lots. Many individuals and insurers looking to secure one-year leases are offering property owners more than four times the actual rental value of the property. There are rental offers in excess of $20,000 per month, to entice owners to lease their homes to individuals who’ve been displaced. Is this too good to be true? Maybe. Is there a catch? Perhaps. Even if a homeowner has insurance coverage, the damages being sought by these tenants may be excluded under the owner’s policy. If you have a current or former client who is considering a lease offer that seems too good to refuse, instruct that client to consult with the appropriate legal professional. They need to evaluate the risks associated with these types of lease agreements. If you are asked to serve as a property manager in connection with this type of lease agreement, make sure to obtain prior approval from your broker. Memorialize the arrangement on a CAR form Lease Agreement (in California) so you’ll have the indemnity protection that Agreement provides. A CRES Real Estate E&O + ClaimPrevent® policy includes on-call Legal Advisory Services 7 days a week. We can answer questions or address potential problems to help you avoid an E&O claim or lawsuit. To learn more about what CRES E&O + ClaimPrevent® can do for you, give us a call at 800-880-2747 or LEARN MORE HERE. Jennifer L. Supman is a partner in the firm’s San Francisco office, where she specializes in real estate litigation; professional liability defense, including all types of E&O and D&O claims; construction defect litigation; landlord-tenant disputes; general civil litigation and transactional real estate matters. 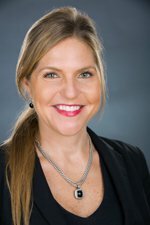 Ms. Supman is counsel of record for several prominent real estate brokerage firms in the Bay Area.